Klout recently did an upgrade of their algorithm or crystal ball or whatever it is that they use. I lost about 15 points or so. as a result. My Klout score was 80 and it came down to 65. Curious, I looked around to see what exactly was happening. Outrage abounded, and I investigated further. The scores had not only revised, but revised like they had always been that way. In other words, there is absolutely no indication that my score *ever* was 80. That got me pissed. I can understand reconfiguring an algorithm, but what does it mean that existing scores were changed too, AFTER that day had passed? What was it that I was seeing on my page all these days then? I am lucky in the sense that I was not dependent on Klout for anything other than entertainment. Others who earn money based on their social networking skills were devastated. Some ran accounts for business houses and had no way of explaining why the score (which was seen as a measure of performance) had dropped. Worse, it had dropped so that it looked like the poor guys had been faking performance all along. I am more interested in how things work than what my score is, and proceeded to observe what happens to this new score of 65 that I had as a result of my tweeting habits. Now here is the strange part. I have been adding an average of 30-40 followers a day. In the last few days, I have been one of the core people driving Justice for Keenan and Reuben making it unforgettable so that the perpetrators who had corrupt backing may not escape justice. It could be argued that my trying may not have been effective, but that is solidly refuted by loads of mentions, RTs, comments and several posts I wrote highlighting crucial aspects of happenings getting thousands of hits. The effort (of which I was only one and increasingly minor part as numbers swelled) was successful in getting National media to focus on it solidly – that is how much influence it had. 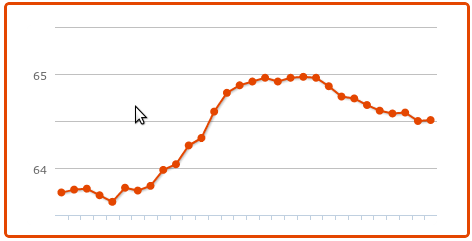 The site was idling happily with less than a thousand visits a day. Notice the last few days after I started to blog about Justice for Keenan and Reuben and see the massive spike in traffic. This spike blew the limits of my makeshift CDN, came very close to bringing the server down in spite of varnish being installed and every kind of caching applied. Mostly driven by social networking – search engines kicked in later. Now, for the same days, look at the Klout graph. The data is from the website where some key posts were. However, there were hundreds of tweets getting replies, RTs, more. Similar things happened with my Facebook account, for similar reasons. Don’t believe me, check the number of shares alone shown below this post – for example. And of course there were thousands of mentions and RTs other than ones with links. I am missing reading all mentions at times when they come in too fast and I am offline. And… My Klout dropped all through. This is beyond bizarre, illogical. Let me get this right. Increasing followers, mentions, RTs, comments people acting on my tweets… doesn’t increase influence? Which brings me to the goodbye point, because if I wanted to know someone’s Klout, this is the information I’d want to know – how effective they were. If that doesn’t reflect in the score, I see no utility for it. It isn’t about my score. I couldn’t care less if I didn’t tweet for a week and it dropped to zero. I do absolutely nothing that depends on it and my ego has plenty other things to keep it high if I lose this one. So as far as I am aware, this is not sour grapes at my end at least. My PeerIndex score for that matter is a humble 55 and I can live with it with no problems. However, with Klout, the problem has become knowing the truth from the lies, and from understanding what is the measure being conveyed by the number at all and does their meaning of influence match what I understand as influence and want to know. Tomorrow it could be another number equally inexplicably and today’s score another number from what it actually is. What rubbish is this? Several others have pointed out various problems ranging from privacy issues to profiting from user owned content without permission or at least permission that people gave. Serious ones like lack of solutions to make data private or delete Klout profiles completely. To me it is really simple. I don’t want to trust, because I can’t understand it anymore. We shall mourn its sad demise.